Please note that the prices may have changed but the principles remain the same. Check on the sales pages and inside your account for the current pricing structure. A Platinum Reseller earns commission on "upgrades". 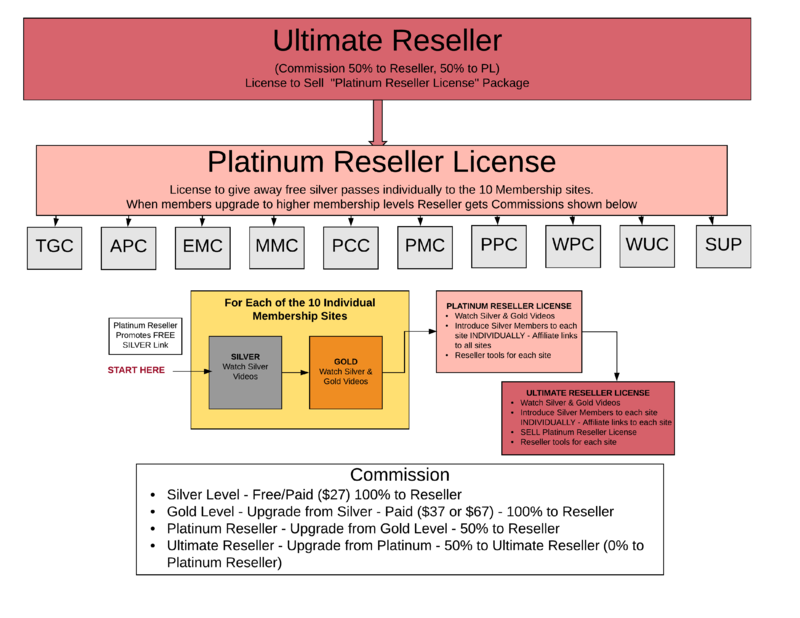 If you wish to offer "what you have", ie a Platinum Reseller License, we recommend you upgrade from inside your account to Ultimate Reseller. It only requires minimal sales of the Platinum Reseller License to make back your investment and then all additional sales are pure profit!